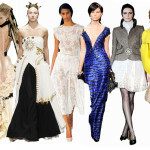 The fashion industry seems to be wrestling with whether haute couture is still relevant to the modern fashion model. On the one hand vets like Oscar de la Renta say it’s outdated and useless; on the other, business trackers note a marked spike in couture purchases – largely due to new customers from the far east. In any case, couture houses are responding by tweaking their approach. With designer Riccardo Tisci at the design helm, Givenchy opted to take its Fall 2010 Couture presentation off the runway and into the excessively ornate rooms of a Paris salon. According to Tim Blanks, the designer was inspired by artist Frida Kahlo and her fixation on anatomy and mortality. 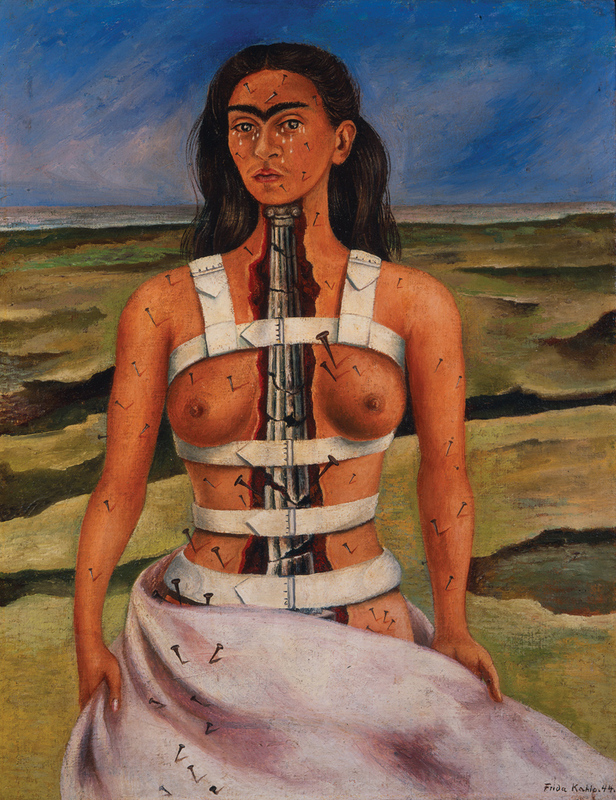 From our commoner’s perspective, one might think Tisci was just trying to capitalize on the Google-powered Frida Kahlo internet search spike this week Yet if were able to get up close and personal we’d see zipper pulls made of little bones and porcelain belts shaped like spinal columns. Very apropos for a Kahlo inspired collection. Yes if you look closely to the collection pieces shown you’ll see the affects of the Frida Kahlo inspiration are more then superficial. Givenchy is ‘displaying’ the couture, like art in a gallery. But only because we’ve grown complacent in accepting the illusionary distinction between Fashion and Art.